Next review LeafFilter North - Our experience with Leaf Filter.... ARGH!!!! The sales man arrived on time, very professional and he knew his product inside and out. He was able to answer all my questions about the product with absolutely no pressure to buy. 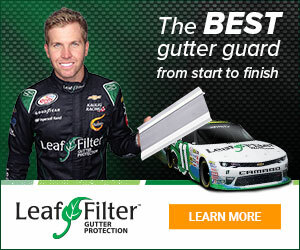 He demonstrated other leaf gutter products that are currently out there on the market, but did not compare to leaf filter gutter product. The install happened within a week, 2 guys showed up and put the leaf filter product on both gutters (front & back of my house) and took them a little over an hour to complete the job. Overall, I am totally satisfied with this purchase, the company and the product they sell. I would highly recommend this product to all those folks out there that do not want to climb another ladder to clean out the gutters. Review #948258 is a subjective opinion of testimonial.